As the preparation begins for the 2018 college fantasy football season, we’ll take a look back at the 2017 rankings and learn from the busts and breakout stars during last year’s college football season. 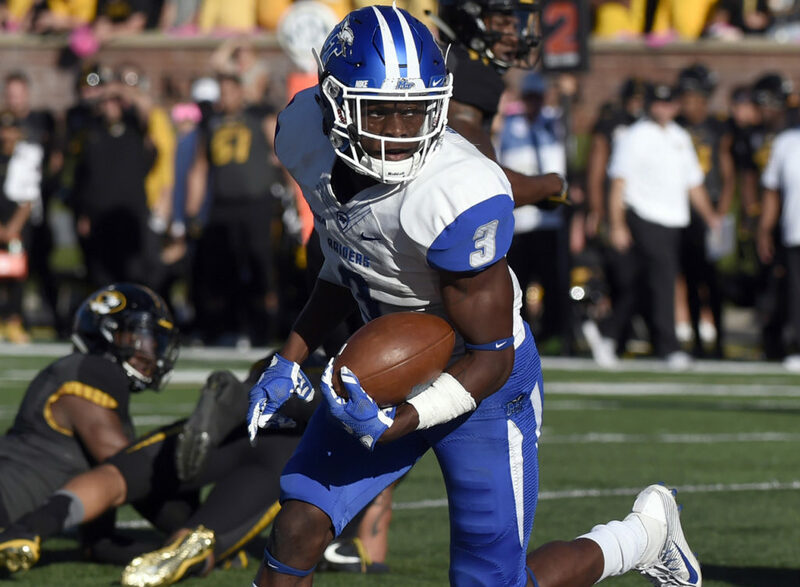 The Wide Receiver position contained many known commodities entering the 2017 season, and those players delivered – Anthony Miller, James Washington, Cedrick Wilson, etc. In 2018, it will be completely different with new names that will dominate the top receivers in the college fantasy football rankings. The hype surrounding Deon Cain starting the season was extremely high and many thought he would be the next big threat as the Tigers leading receiver on the season. While Cain did catch 58 passes last season, which is 20 more than the previous year, he only tallied 734 receiving yards which is only 10 more than his previous season. So despite the increase in receptions, the yards per catch fell drastically. He also took a step back in touchdowns recording 6 last year compared to 9 the year before. 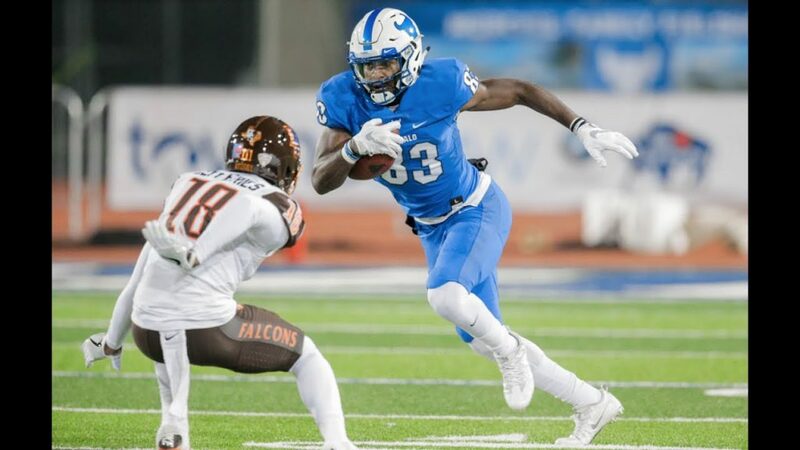 Jeff Badet used his grad transfer eligibility to go play with heisman trophy winner Baker Mayfield and Oklahoma. Badet was extremely useful for Kentucky the year prior playing in a much less talented offense and was able to post some decent numbers as the deep threat. With the change to a potent offense, the sky was the limit for Badet. However, Badet failed to find consistency in the new offense and only tallied 26 receptions for 400 yards and 3 tds and never developed into that deep threat many thought he would be. The thought of Richie James being in this list is not where you would think he would land. James first two seasons saw him gather over 200 receptions and be the go to guy without a thought. However, as a Junior James played injured and missed a lot of games and amassed a career low with 31 receptions, 290 yards and 3 tds. The other thing that hurt was QB Brent Stockstill going down for the season by the mid way point and the offense never got going after that. Richards burst onto the scene with a tremendous freshman campaign tallying 49 receptions for 934 yards and 3 touchdowns. The hype surrounding the talented freshman entering last season was extremely high and it showed in fantasy drafts entering his sophomore season. Richards was not able to avoid the injury bug as a sophomore and ended up playing in only 7 games and because of that his stats dropped in his second season. Richards ended up tallying 24 receptions for 439 yards and 3 touchdowns. Toledo Senior wide out Cody Thompson had a tremendous Junior season catching 64 passes for 1,269 yards and 12 touchdowns. With Toledo always producing fantasy worthy receivers Thompson was a must draft in all leagues entering his Senior season. The bad news for Thompson is that he only played in 5 games last season and ended with only 537 yards and 4 touchdowns. As was mentioned in another post Toledo is always known for producing quality fantasy receivers and that was the case for Sophomore Diontae Johnson. After only having 14 receptions as a freshman, he had a break out season with 74 receptions for 1,278 yards and 13 touchdowns. Johnson stepped up as the go to receiver with the injury to senior Cody Thompson. Anthony Johnson led a Buffalo team this year and had an outstanding Junior season. Johnson finished the year with 76 receptions for 1,356 yards and 14 touchdowns. Unlike some of our other break out stars on this list Sills V just missed the 1,000 yard mark in receiving yards this season. The thing that stood out for Sills V is that while he did not have the big yards, he did record 18 receiving touchdowns on the year which makes up for the having slightly fewer yards than others. AJ Brown stepped into the leading role Ole Miss at the receiver position this past season. AS a sophomore Brown amassed 75 receptions for 1,252 yards and 11 touchdowns. After a average freshman campaign, Brown stepped up big and delivered for Ole Miss. A name not known by many entering this past fantasy season was Korey Robertson of Southern Miss. After posting dismal numbers as a sophomore, Robertson took his game to another level as a Junior. Robertson finished his Junior season with 76 receptions for 1,106 yards and 12 touchdowns.